It is hard enough to brew a great sour ale when you know what microbes you are pitching, so why did I want to take on the additional challenge of souring a beer with unknown local microflora? I think it was some combination of the romance and curiosity of brewing a beer that gets its unique character from the area it is brewed (terroir). Some people suggest trying a smaller test batch first, but if I have to wait more than a year to see how the evaluation goes I might as well have five gallons to show for it. Propagating the wild yeast I captured in my backyard and barrel room boosted my confidence, the starters had a surprisingly clean flavor with a hint of lactic tartness. Judging souring microbes after a few weeks can be dangerous since there are strains that may not have made their presence known by this point; I'll be interested to see how the flavor develops as the beer slowly ferments. The brew day was very similar to the one for my third Lambic (lots of details/pictures on the process in that post). I applied what I had learned from that batch to the turbid mash I did for this beer. Despite the complexity and extra attention required (it helped that a few friends stopped by) a turbid mash only takes about 2 hours (it is the long boil to reduce all of that wort that kills most of your day). I adjusted my efficiency down from my previous attempt to hit my target OG (despite the long boil and scalding sparge my efficiency was similar to my standard brewing process). The only change I made to the mash schedule was to hold the turbid portion of the runnings at 190 F (instead of 176 F) to ensure that it would raise the mash to 170 F when it was added to reach mash-out. With 8.5 gallons of wort collected I started the 225 minute boil. I added three ounces cheesy 2007 Willamettes near the start (a generous addition of aged hops is helpful for a beer like this to slow the growth of spoilage microbes). When I tasted the wort I was surprised how little bitterness the hops imparted (although looking at them I shouldn't be too surprised), luckily none of their funky aromas carried over either. After force chilling the wort I pitched about one quart from each of the two starter. While there was some yeast(?) that had flocculated to the bottom of the starter vessels I did not want to decant them because there were most likely numerous organisms that had not dropped out. Visible fermentation took about 24 hours to commence. During the first week I held the ambient temperature at 65 F to give the yeast the best chance to complete a healthy/calm primary fermentation, letting it rise slightly after that. The krausen was primarily composed of large, delicate bubbles (a sign that the strains at work are probably less flocculant than standard brewer's yeasts). My plan is to leave this beer in the primary fermenter for the next 12-18 months. At that point, assuming it doesn't taste terrible, I'll bottle half of it as is and add a few pounds of (extremely bland) mulberries from the tree in my backyard to the remainder. If this batch is successful I may use it to start next year's Lambic, heading down the road to a truly wild house culture. 3.00 oz. Willamette (Whole, ~1.25% AA) @ 195 min. 3/24/11 Started spontaneous fermentation starters. 1.030, .5 oz aged hops, and 1/4 tsp nutrient: upstairs, backyard, and in the barrel room. Did not force chill, and put them in pots covered with cheesecloth. The next morning I moved them all inside and put them in growlers with airlocks. Minor activity after a few days. 3 weeks later I tossed the upstairs (black mold) and stepped up the other two. The outside had the best aroma and most active/flocculant yeast. The barrel room smelled a bit off, but seemed to be Brett (pellicle?). Wheat was whole/unmalted from the COOP, Pils was Best Malz. Held the turbid portion @190 F before adding it back for the mash out. Collected ~8.5 gallons of 1.032 runnings. Added 1 qrt of water with 30 min left in the boil since I was lower on volume than expected. Ended up with 4.5 gallons post boil/chill/strain (surprisingly smooth, low bitterness), 1 qrt each of both ambient starters (light lemony tartness). Pitched at 70 F, only aeration was straining. Left in 6 gallon better bottle at 66 F ambient. No oak yet. Good fermentation by 24 hours (big bubbles). Ambient had creeped up close to 70 F so I moved it to a 65 F fridge. 5/1/11 Moved the fermenter out of the fridge and attached an airlock. Still a bit of krausen, odd funky/yeasty smell. 10/29/12 Racked two gallons onto about two pounds of mulberries from my backyard. Bottled the rest with 1.75 oz of table sugar. No extra yeast, so it may take awhile to carbonate. FG 1.002. 3/21/13 Bottled the fruited portion, 2 gallons, with 1.5 oz of table sugar. 4/25/13 Tasting notes on the plain portion. Given where I live, the results are remarkably reminiscent of a Belgian lambic! 6/6/13 Tasting notes on the mulberry portion. More fruit character than I expected from eating the berries straight. Very drinkable, despite the crazy process. Is that a better bottle ? If so, do you find they are better than plastic buckets in terms of air getting in over a long storage period ? It is a better bottle, they are pretty much all I use for aging sours. I’ve never had an issue with acetic acid formation or oxidation using them for sour beers. I talked to their tech guy a few years ago, and he said the oxygen permeability is minimal (lower than the numbers cited in Wild Brews for PETG, which were 1/6 of a bucket). I also like being able to see the beer without the breakage risks that glass poses. Why are you staying in primary so long? I would have thought that you would rack to secondary for aging. Are you not worried about autolysis? Is it different for Lambic beers? Lambics are traditionally left in a single vessel to ferment/age. As the Saccharomyces breaks down it releases nutrients that allow the Brett to continue working. It leads to a more rustic character, but up to 18 months I’ve never had any autolysis issues (never gone past that). Do you think that autolysis can be a problem with a solera? I ask because we are attempting a Flanders Red solera. We did primary fermentation with ale yeast in carboys and then racked to the 55 gallon barrel where we added the Wyeast Roselare starter. If we never completely drain the barrel, are we in trouble? You may have an issue with the solera down the road. I know Will at CBC said in an article that after a few years he had to drain his barrels and clean them out because he started to taste autolysis byproducts. I’m not sure how we are going to deal with our solera barrels when that time comes. Truly amazing post. Great info as always, but even more inspiring than usual thanks to the more gutsy move of tackling a spontaneous fermentation. Cheers to you! Here's hoping that you do indeed establish a house lambic culture, and that many others follow suit. 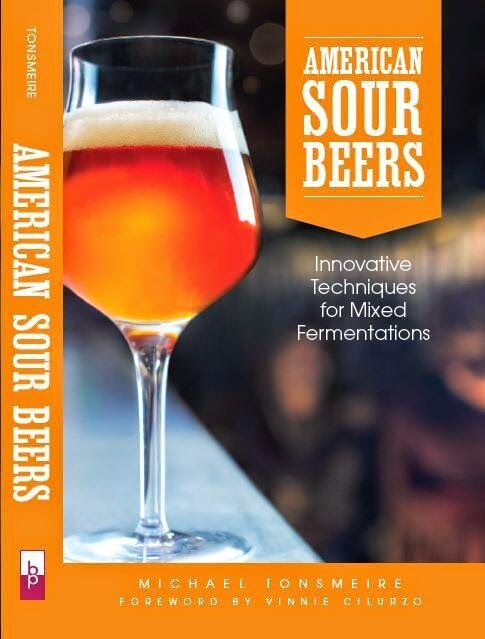 I for one really do think you ought to write a book oriented towards homebrewers and the new frontiers of American wild brewing practice. Still seems to me that the biggest challenge for barrel-less homebrewers is figuring out how to allow for the right levels of micro-oxygenation or whatever, and the porous surface material that encourages microbes to survive over the course of multiple batches. Anyway, just wanted to chime in that your blog is very inspirational, and keep up the good work! I think moving oak cubes from batch to batch is probably the best option for homebrewers to mimic the bug retaining properties of a barrel. I’ve had pretty good luck without worrying too much about micro-oxygenation (the oak chair leg trick never did much for me), but there is a certain character (and depth of sourness) you get from a barrel that I haven’t been able to get from my other fermenters. The info. from this and your previous 4 attempts at a Local Lambic are great. I'm getting ready to try my first in June when Los Angeles has pretty cool whether. Thanks for tons of tips...I'll be following your progress too! Mike - I'm gearing up to brew a batch with my own locally caught yeast. Just curious if you kept any of your yeast for future batches or if you pitched all of it into this batch. And if you saved any of it, how? Looks excellent!, hopefully it turns out well. I did save some of my two starters, although at the moment they are still sitting in the same jugs. I’ll probably just end up tossing it out and using some of the batch to pass on the microbes if it turns out to be an experiment worth repeating. If you want to save them I would keep them cold and feed them every 4-6 weeks with some fresh yeast (it is hard to keep mixed cultures going without one microbe taking over). So it's been a year. Any updates or tastings of your truly wild yeast strains? It is coming along nicely. The acidity is still relatively low, but the Brett character is getting there. The tropical fruit it had when it was young as been replaced by fresh pipe tobacco, and some classic earthy Brett funk. I’m planning to bottle half of it in a month or two, and put the rest onto a few pounds of mulberries (just waiting for the fruit on my tree to ripen). Oh man, that sounds amazing. Thanks for the info. Good luck! I'm thinking about trying an ambient fermentation soon. I'll definitely report back my results. You need to write up a tasting of this asap! Still waiting for carbonation. I'd usually add fresh yeast to a beer this old but I wanted to keep it "pure." Haven't loved it yet, but it is a fun one, herbal, mildly tart, dry, integrated funk etc. Did it impart any off-flavors to let the beer in the primary for that long? It is actually traditional to age a lambic in the primary fermentor (usually a barrel) until it is ready to blend or transfer onto fruit. As the Saccharomyces dies it releases sugars, nutrients, and fatty acids that the Brettanomyces uses to continue its fermentation. I find this results in a more rustic/complex character that you do not get when racking a sour after primary fermentation is complete. Not saying one or the other is better, just another tool you can use to create the character you want. Very informative stuff! So far I have 3 different wild yeast strains that are really cranking. The ones harvested from peach skins, and another from backyard flowers taste/smell like they'll work best on a sour blonde ale that I plan on brewing up here soon, and splitting between 2 different 5-gal carboys. Both are very clean tasting, with some acidic lemon/vinegar aroma. Definite lacto and pedio in the mix, along with what seems to be a dominate sacch strain. I'm going for a very fermentable wort (1.040) and between 0-5 IBUs. It's good to know I can just keep them in primary for an extended period. Question is, have you fermented wilds before that are ready in a few months? My guess is the answers are very open-ended, but if the beer gets to an FG of let's say 1.002 and stays there for a few weeks, I'm guessing it's safe to bottle up? Sure! Assuming the gravity is low (.001 drop in the bottle will create .5 volumes of CO2) and the flavor is good no reason to wait. If you have flavors that need to blow-off (sulfur) or you think you might want to blend, fruit, or dry hop then waiting is a good idea. If I'm understanding you correctly, it sounds like you combined the two starters for the 5 gallon batch? Is there a particular reason you didn't split the batch for each starter? You certainly could split, personal choice. I didn't want to tie up two of my three 3 gallon fermentors for 12+ months! I'm adding some Mulberries from my tree in the side yard to a barrel-aged Saison. I was wondering if you treated your berries in any way before adding them to your Lambic (just freeze or mash and sterilize with camped tabs or just throw em right in there). Love your blog, the posts have always been very inspiring! I just freeze them, defrost, and add. Especially in a beer with Brett and lactic acid bacteria there aren't many microbes that concern me. I have a fresh harvest of mulberries vacuum-bagged in my freezer for a batch later this fall (thinking lambic-ish with the four berries that grow on our property). The beer I'm actually going to use the berries in now is sitting on your "Bootleg blend" 3rd generation. (The first two American Bretts' I made with this yeast got rave reviews!). This beer has been in primary now for three weeks. I was going to add the mulberries and leave for a month or two without racking to secondary, I figured the Brett and all the other players could benefit from this. What do you think? Sounds good, especially if you keep the IBUs low and get some acidity. Last weekend I opened the last bottle of my Mulberry DCambic and it had aged gracefully. A few months in primary won't be an issue with the Brett, but I wouldn't keep it saison-warm.